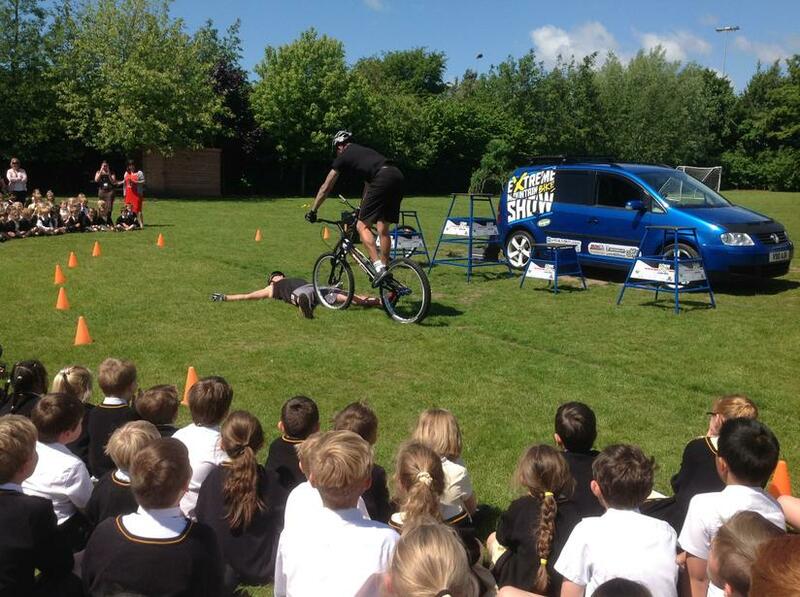 As you may remember, the school took part in the Big Pedal back in March and encouraged children and their families to cycle or scoot to school. 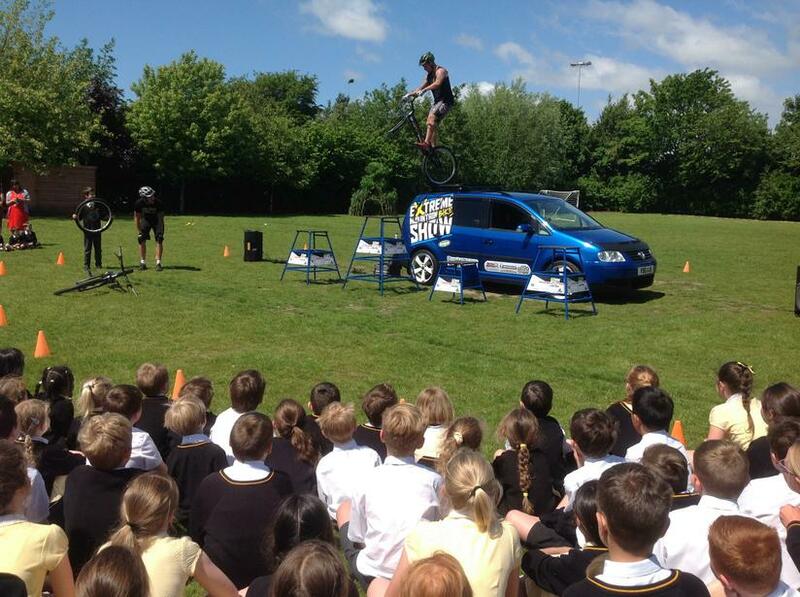 The Bike It Crew then logged the number of pedal rides to and from school and these were entered in to a local and national leader board. 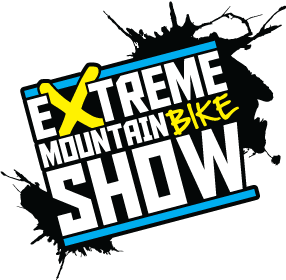 A huge effort from our families meant we came second in Liverpool - a huge achievement in our first year as a Bike It school. 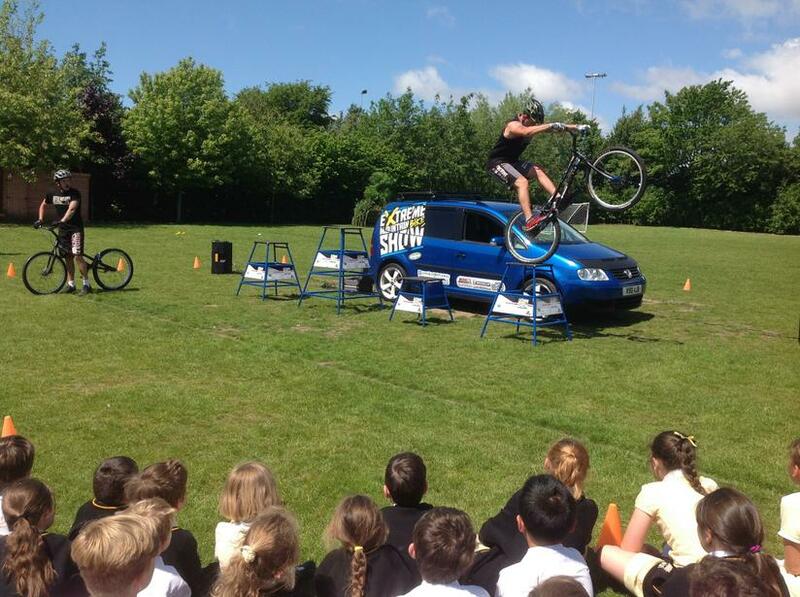 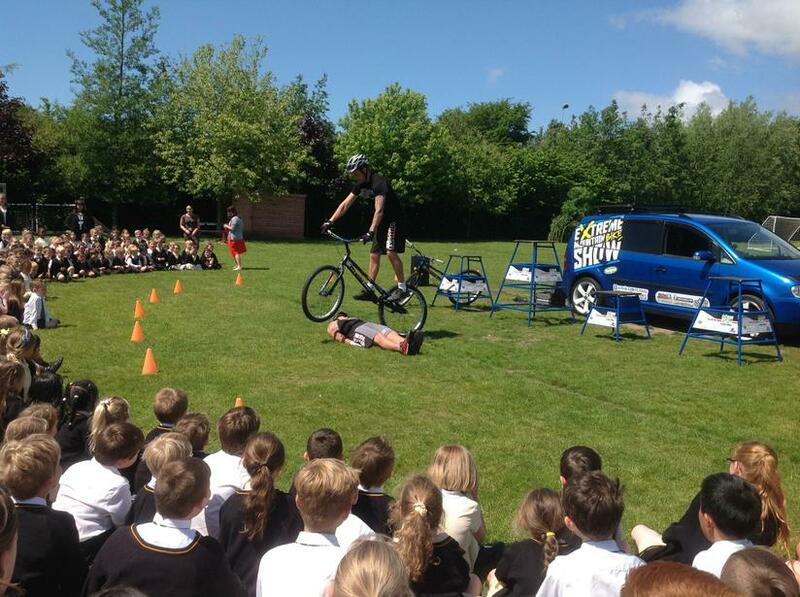 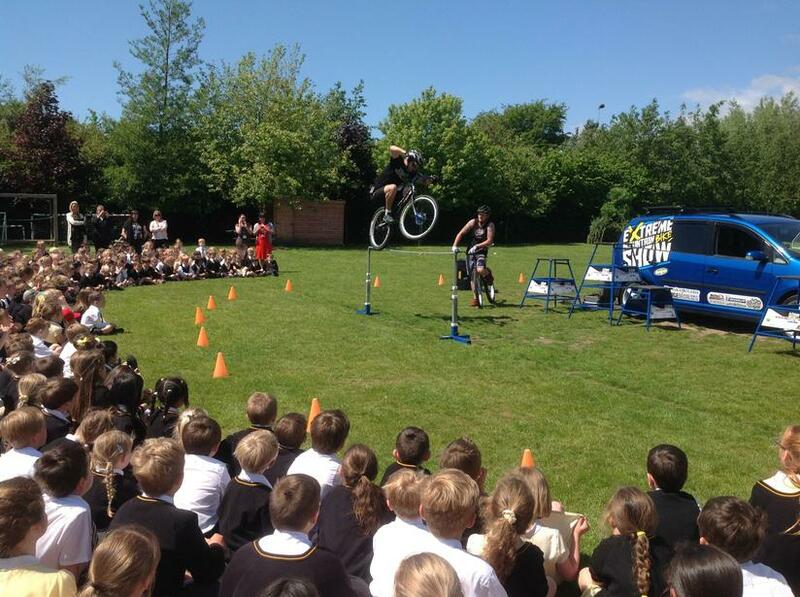 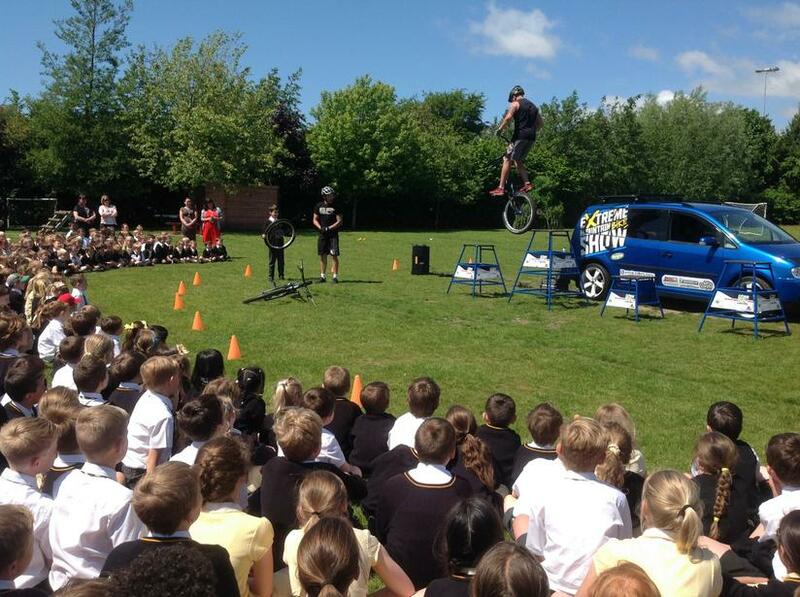 Today the children were treated to a reward for their efforts - a visit from Danny Butler and his Extreme Mountain Bike Show. 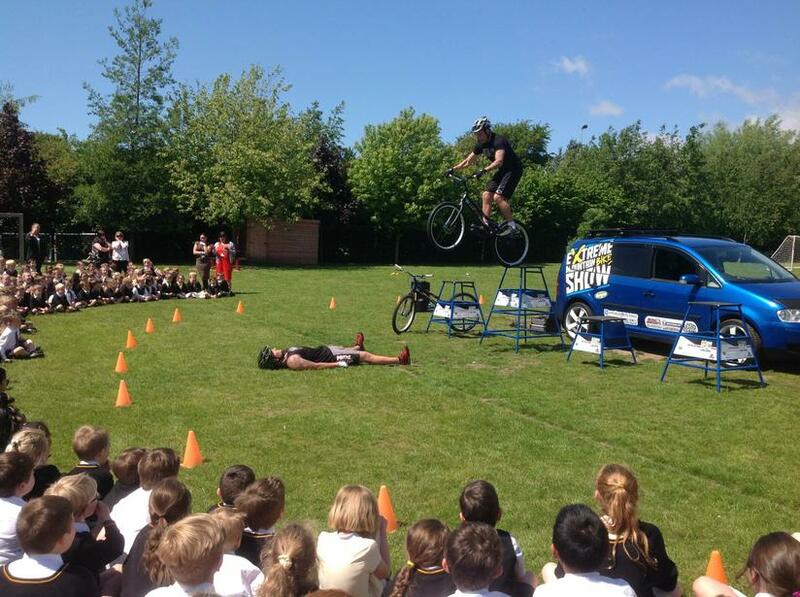 Danny, a multiple British and European trails bike champion and his brother Ash wowed the children with a spectacular display in the glorious sunshine. 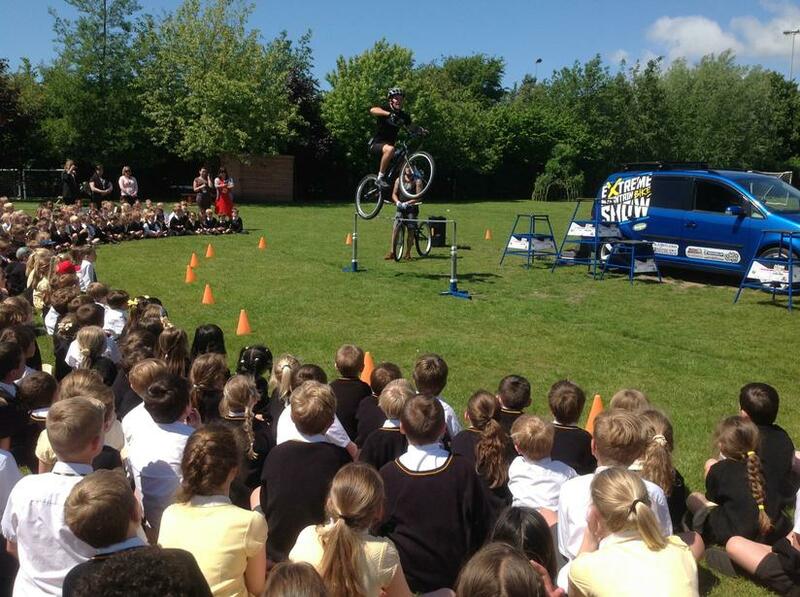 For more photographs, please see the Bike It section via the Children link on the home page.